football, gymnastics, softball, and dance. drawing, playing with friends, video games, swimming, and reading. We are excited to be learning with you! I think it would be inspiring to do all sorts of stuff. I like your blog because there are so many colors I like and because it is so organized. Our school has grades pre-shcool, pre-k, 1st grade, 2nd grade, 3rd grade and 4th grade. What grades do you have? Where in MI do you live in, on the water or in-land? Go Techie Kids all the Way!!!!!!! We have kindergarden 1st 2nd 3rd 4th and 5th grades in our school! We do live in land. But i totally wish i could live by the water. Where do you live tommy? Do you like this blog alot? I think this blog is a really nice one. I like going on here when I have free time. I really like how you have everything set up. This blog is really popular. I wonder how your site got so popular? I was just wondering. We really like your joke gidget! It has some ffuuunnnnnnyyyyy jokes that we could not figure out.. Why didn’t the chicken cross the road? Because the light was red! Isn’t that joke funny! We thought it was!!! Kaitlyn&Caroline in The Classroom Connection!! Hi, I enjoyed looking through your class blog page 🙂 I am interested in Classroom 2.0 – what’s the deal with it? Anyways, I really like the National Geographic widget. Glad you stopped by our blog to visit! Classroom 2.0 is an online learning community. You can join groups that you are interested in and have relevant discussions. There are also Elluminate webinars that you can participate in. I found the backchanneling to be very informative! Visit http://www.classroom20.com/ for more information. I’m Elise and I’m from South Australia. I like your blog, I think it is cool, because you have got lots of cool things and the video on your blog is cool. What is your favourite thing to do at your school? My favorite subject in school is math. I have the best grades in social studies though. I think school is cool because some friends I don’t see that much I can see at school. So I can hang out with them at recess. Do you have recess? I like your blog. I think it is cool, because you have got lots of cool things and the video on your blog is cool. What is your favourite thing to do at your school? I am from South Australia in Mr.Baldocks 2/3 class. We have been focusing on maths. We have been looking at take aways. What kind of things do you do at recess and lunch? We have 3 schools on campus Nativity Pilgrim and Thiele. I go to Nativity. Do you read a certain book in your class. In health we have been writing about our family. We have kindergarten, 1st, 2nd, 3rd, 4th, and 5th. We are near the water. Are you, and how many seasons do you have? This is Kaylah from Miss Fitch’s class. I like your class. It is fun. I think you are nice. I like computer class. I really liked your post on Wordle. Our class did them, except we did them on peace. Our class really likes your blog! Mrs. Webb Scheers talks about your class and your blog all the time. Rember the time when our class skyped with your class? We found out that we get to skype with you again on Tech night! You always have such kinds things to say! We were very excited to Skype with you too. We are very happy to be your blogging buddies. Our students enjoy using Wordle in class. What are some other ways that you could imagine using this tool? Dear Techie Kids, Our class is having blogging challenges at the end of the year. If we get all of our blogging challenges by the end of the year, we get our own STUDENT BLOG!! I’m really excited because I’m tring to get one! If you want to learn more about the challenges check out our blog. 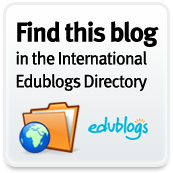 Do any of your students have a blog? You are doing a great job with your commenting! I’m sure you’ll earn your own blog soon. Some of our 5th grade students have their own blogs that they’ve worked on at home with their family. I’m so glad that your Family Technology Night went well. What was your favorite part? Hello, I’m glad I found your blog. Your work is inspirational…I love your global projects widget. There is so much information here. We have only been blogging for about two months and already we have learned so much, it’s amazing! I look forward to spending more time checking out your class. Thank you! Hi. I love the blog design. My 4th grade students will be visiting this website soon to learn about your state and learn more about blogging. I teach in an inner-city school in New Jersey. If you ever want to connect with my students, just let me know. We are so glad you visited our blog! Thank you for leaving us a comment! We love to connect with classes in different parts of our world. Your students are welcome to comment on any of our posts and we’ll respond as soon as we can. Please let us know if you have any questions for us. We’ll hop on over and take a peek at what you are working on in New Jersey. It really reminds me of how much I love to play on computers and tablets. I would really love you to visit. I really liked seeing the pictures of your classroom. And it seems you are very Techie. I love all the latest tablets and phones. They all amaze me that one person had that had an idea and so much info can be held into your pocket. A big thanks to Katey for showing me your link and my new friend!! Thanks for stopping by! We are excited that you’ve visited our blog. We can’t wait to get started! We think it is very cool that you began your comment with “G’day.” Our class is wondering where you are from since you used that greeting? I will be adding the badge shortly. It’s nice to see the list of participating classes increase over the last couple weeks. I am so glad you stopped by our page. 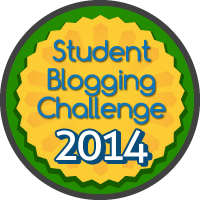 We did participate in the 2013 Student Blogging Challenge and we sure learned a lot! This year is our first year blogging. We will be participating in the 2014 challenge with you as well. I am home sick today, but I wanted visit your page and let you know that my class will be so excited to be your blogging buddies! We usually have blogging time on Wednesdays. One thing we learned in our last challenge is that you have to leave a lot of comments and leave your link on other class and student blogs if you want to get comments back. You have already started that! I really like the drawings at the top of your page. Can you tell me more about them? We love your page and your pictures. You asked us to tell you about the drawings at the top of the page. Actually, we made those pictures to represent our school. We chose Michigan animals or symbols to do it. It was really fun doing that too. You and my teacher, Mrs. Moore know each other! That’s cool you live in Michigan too. Well, thank you for commenting and visiting our page. Can you tell us more about your class? Thanks for your response! Mrs. Moore and I have known each other for a long time. 🙂 I love that your pictures are symbols of Michigan. What a great idea! My class is working on a Michigan timeline project, we will post about it when it is finished. What’s your favorite part about living in Michigan? My class wants to tell you more about themselves. We will have a “blogging day” on Wednesday- they will stop by then to leave you some comments! Thanks for all of the blogging inspiration. Thank you for visiting our blog and leaving a comment! We love meeting new classes. Wow! You are near Washington D.C.? Do your classes visit the White House often? We are happy to know that you are part of the blogging challenge. We will come visit your blog to see what you are up to. We look forward to learning more with you soon. I am one of the Techie Kids and this is my first time writing a blog comment by myself! Right now, we are learning how to blog with other teachers and some students. I love blogging, do you? Well, hope to leave another comment soon! Way to go, leaving a comment from home! I’m glad you are enjoying blogging. What topic do you think would make an exciting blog post? I noticed that you worked hard on the Fourteenth Goldfish. I liked how you didn’t tell too much about it. It makes we want to read it.